Nina Harding has over 20 years experience in resolving business and public interest disputes. Nina is a law graduate and has a Master of Laws. She has mediated over two thousand disputes. Nina is a nationally accredited Mediator and a recognised expert in the area of dispute resolution. 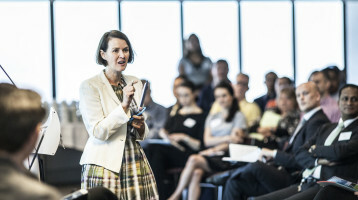 In addition to mediating disputes, Nina facilitates large meetings and also teaches Mediation, Dispute Resolution and Complaint Handling workshops. She regularly speaks at conferences and has taught thousands of people how to negotiate more effectively and resolve conflict. Nina Harding has lectured at numerous universities in Australia and overseas.